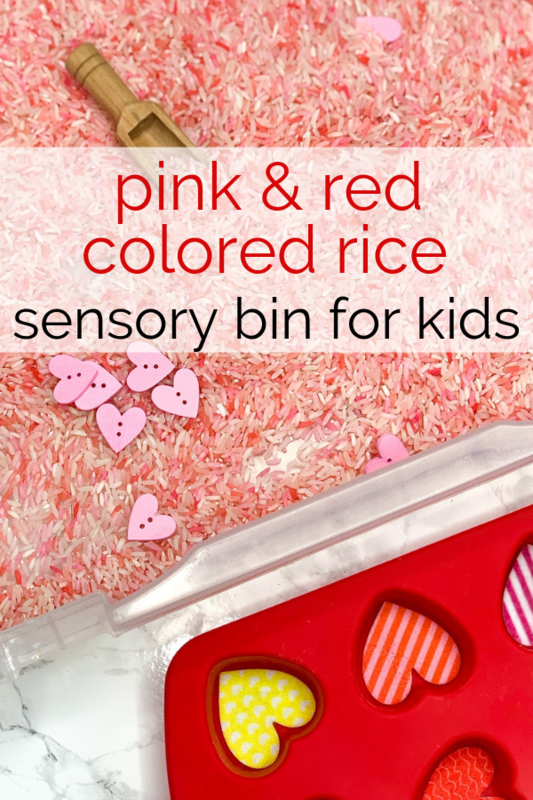 This pink and red colored rice sensory bin adds heart and fine motor tools for a fun and educational themed sensory bin perfect for kids. Sensory bins are a really fun and inviting way to display new material or themes to children. Engaging the senses in play helps children remember material better. 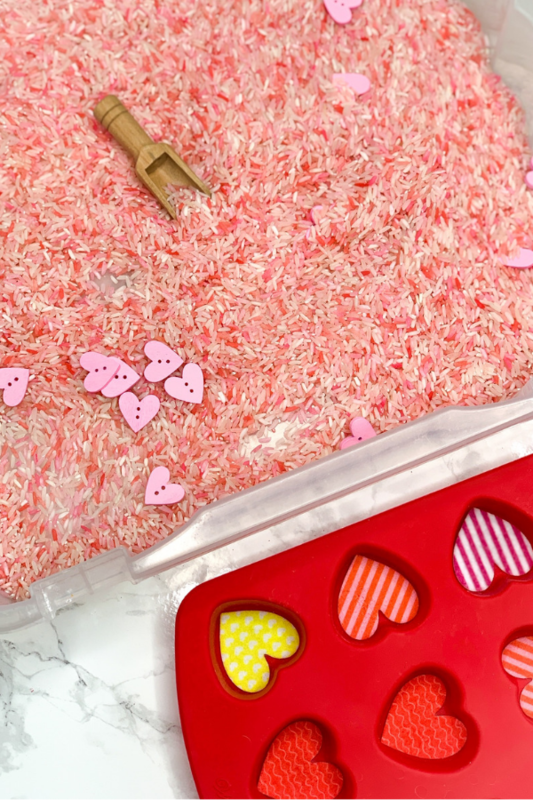 This pink and red colored rice sensory bin uses dyed rice as a base with some pink hearts and fine motor scooping tools for play. 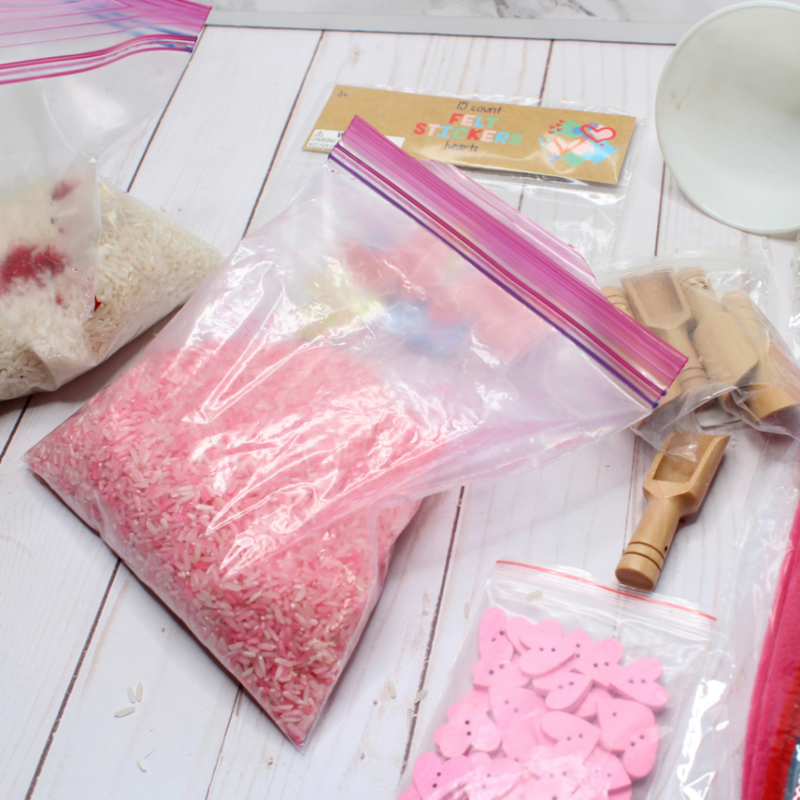 Dying rice is super simple to do, and tons of fun for kids to help with! The shaking of the bags is always a huge hit in our house (bonus points if you do it during a dance party!). 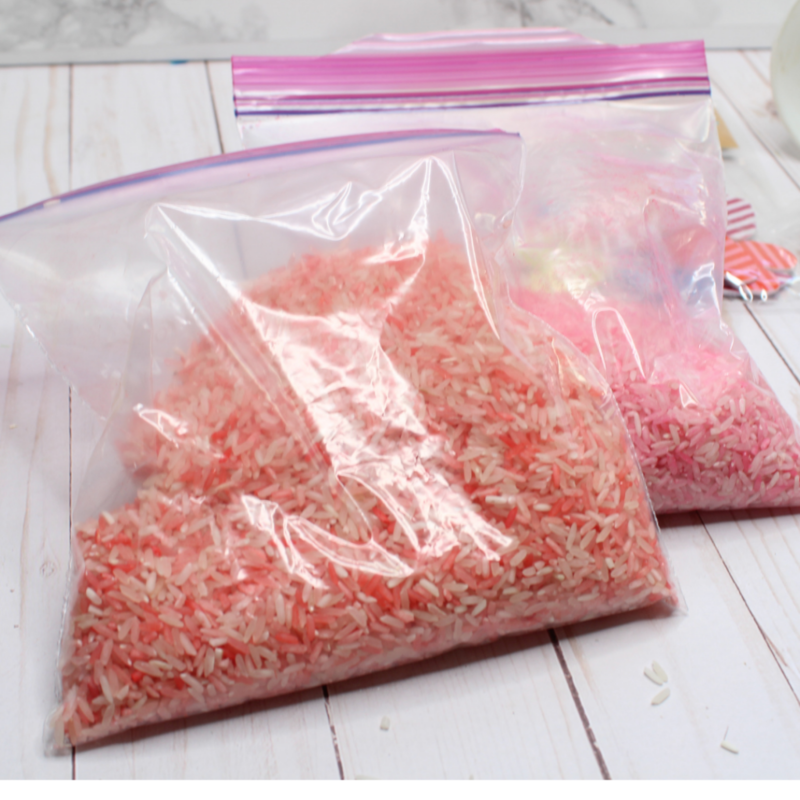 Separate the rice into zipped plastic bags to dye. 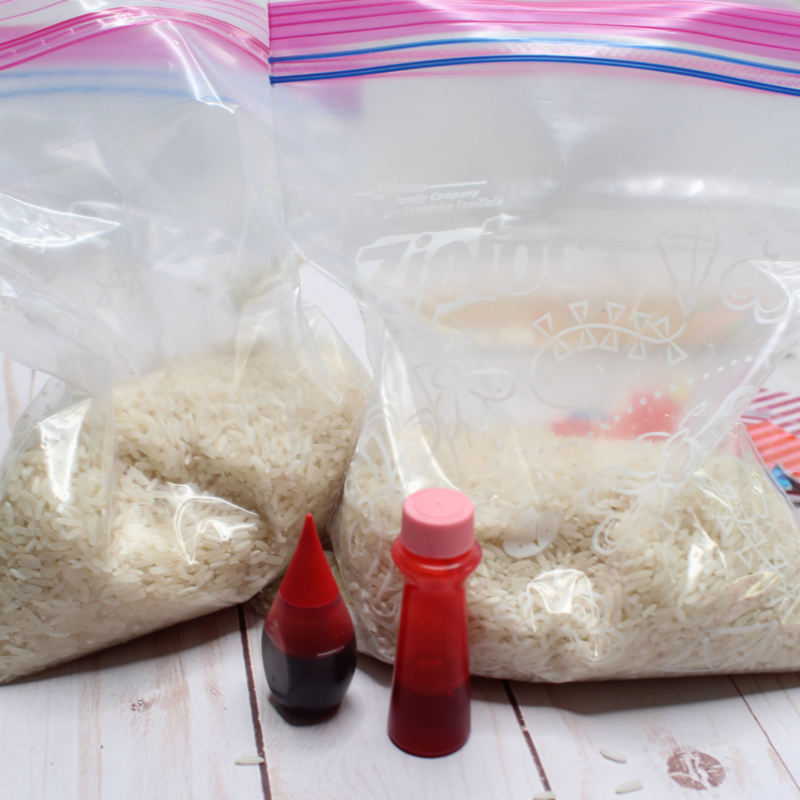 Add the desired amount of rice to the baggies and add food coloring, and a splash of vinegar. This is the fun part, secure the bags and SHAKE! Once all the rice has been colored, lay on a baking sheet to dry. Once the colored rice has dried, add it to a plastic bin for play. We like to use these plastic scrapbook containers for play as they are wide enough for a few children to play in, but also contain the mess. And, they have a lid so the rice can be stored away after play to bring out another day. 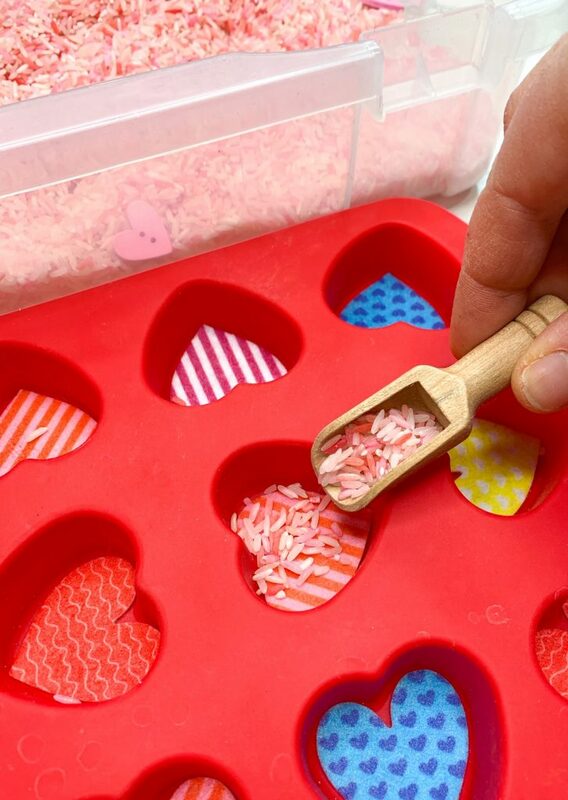 To the colored rice bin, add some heart shaped buttons and fine motor tools. Kids love scooping and dumping, and this transferring skill is an important one for kids to practice and develop. 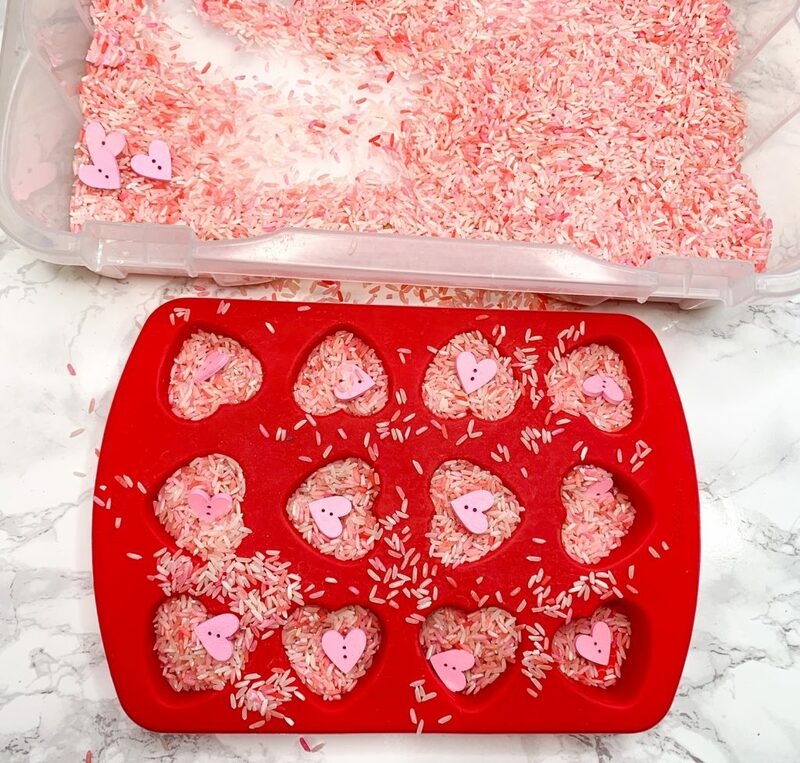 A silicone baking tray like this heart shaped one is perfect for the theming of this sensory bin. 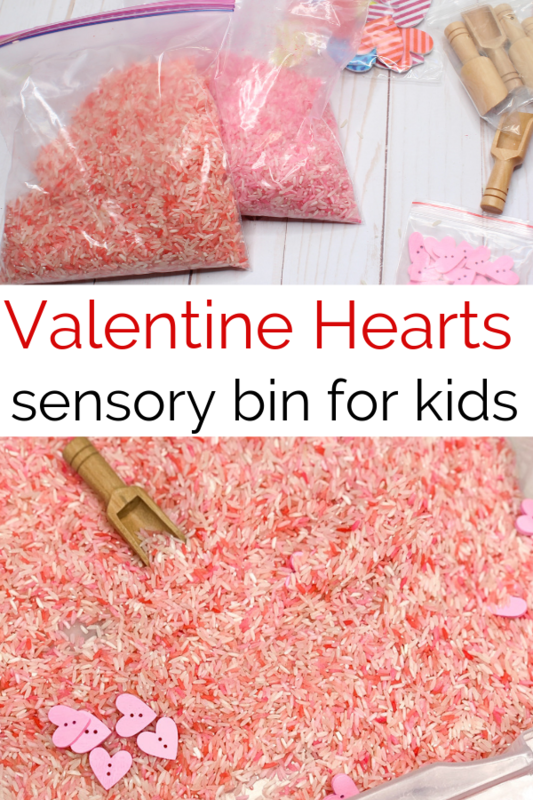 It also gives the sensory bin a fun Valentine’s day feel, making this the perfect February activity for kids as well. 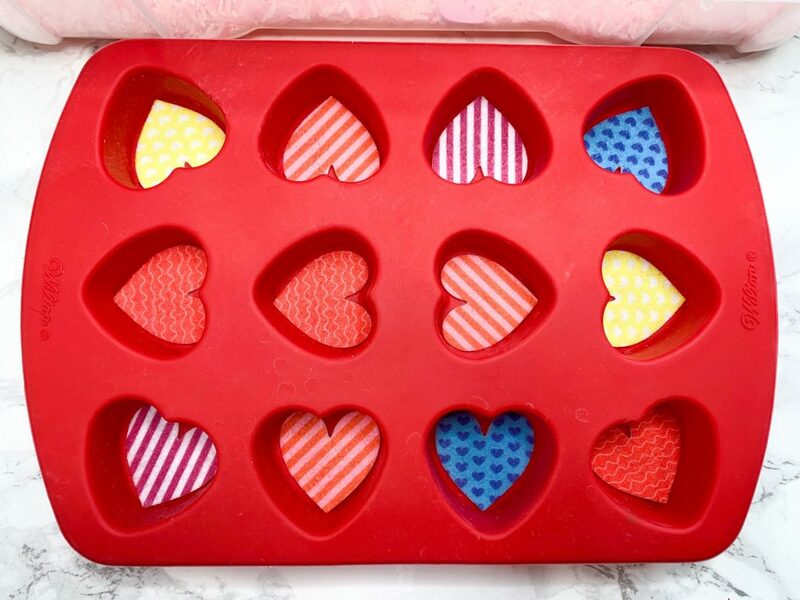 We found these heart shaped felt stickers in our craft stash and placed them into the hearts on the mold for more discussion on colors and shapes with the kids! Example, “oh, I see you filled the yellow heart!” or “the pink striped heart is half full”. 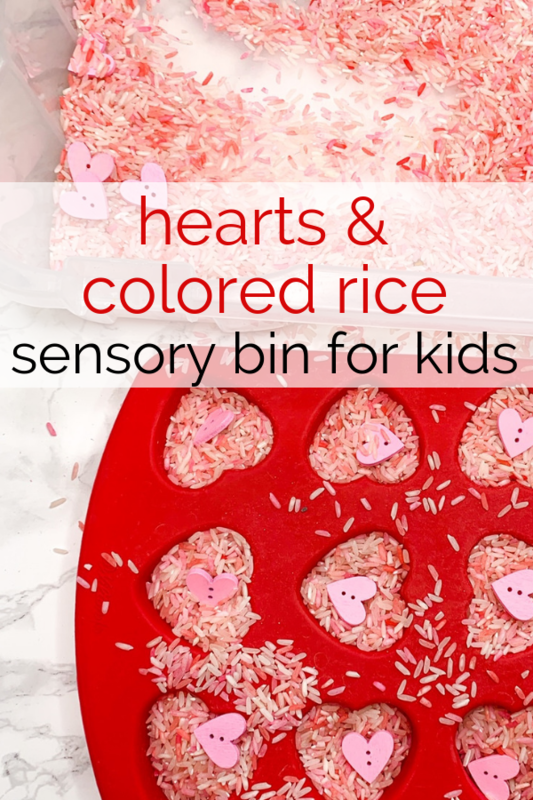 Have so much fun with this pink and red colored rice sensory bin for Valentine’s Day, a heart theme, or for any time of the year!